And Azure Stack General Availability (GA) is finally released: Dell EMC, HPE and Lenovo are officially taking orders starting July 10 and the initial Azure Stack shipments will begin in September 2017. But, for those anxious IT experts that cannot wait until September there’s a solution: Microsoft also released the Azure Stack Development Kit (single-node and proof-of-concept mode) for download and completely free! As we reviewed earlier, Azure Stack will be available only via Enterprise Agreement (EA) and from the Cloud Service Providers (CSP) program. Microsoft will incorporate the pay-as-you-use model with Azure Stack, including capabilities to bring-your-own-license for Windows Server and SQL and is intended to provide unified billing from customers using Azure. 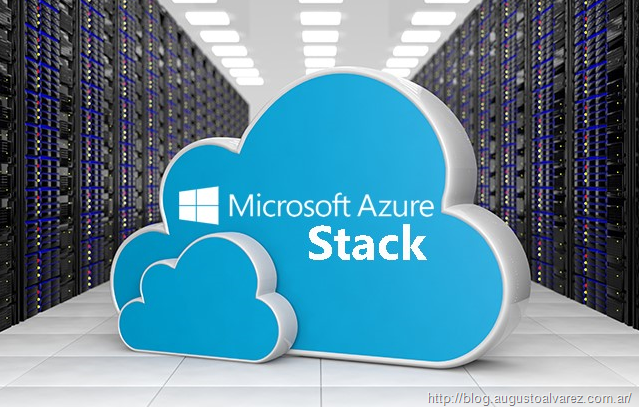 For more information regarding pricing, licenses use and other topics in Azure Stack, review the following article: “Azure Stack Final Pricing Available, Disconnected and Fixed Fee Model Confirmed”. I also have to thank, again, Mary Jo Foley from ZDNET for referencing my blog in her article. 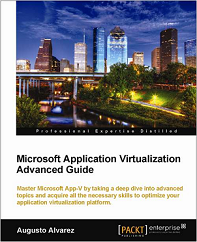 To check Mary Jo’s great editorial about this Azure Stack release, please check this link: “Microsoft Azure Stack is ready to order from Dell EMC, HPE, and Lenovo”. 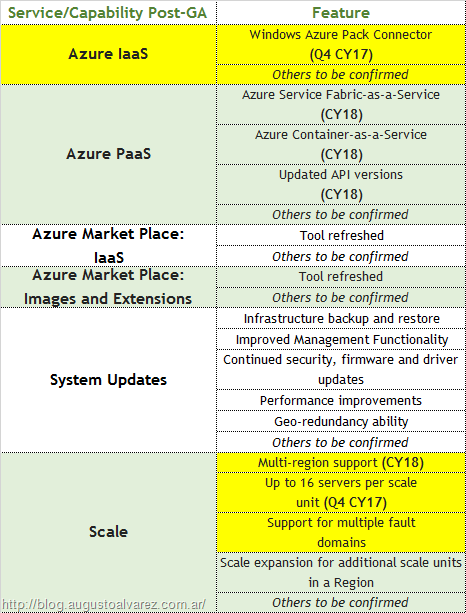 In the General Availability (GA) release, which is now called “Initial Availability” according to Microsoft, there are some changes and updates regarding previous announcements about features available (for more information: “Azure Stack: What should we expect for General Availability (GA)”). It is expected that the Azure Stack Market Place will start increasing the products available within the next couple of months, therefore more and more functionalities will be available for Azure Stack. Azure Stack Service Bus functionality is not yet available and has not been confirmed when it will be released. In the public version of Azure the Service Bus is a frequently required feature for developers since it allows a simpler way for two or more applications interact with each other using namespaces. Other integrated systems: Azure Stack from Cisco will be available some time during 2017 and Huawei will release their version in Q1 of 2018. 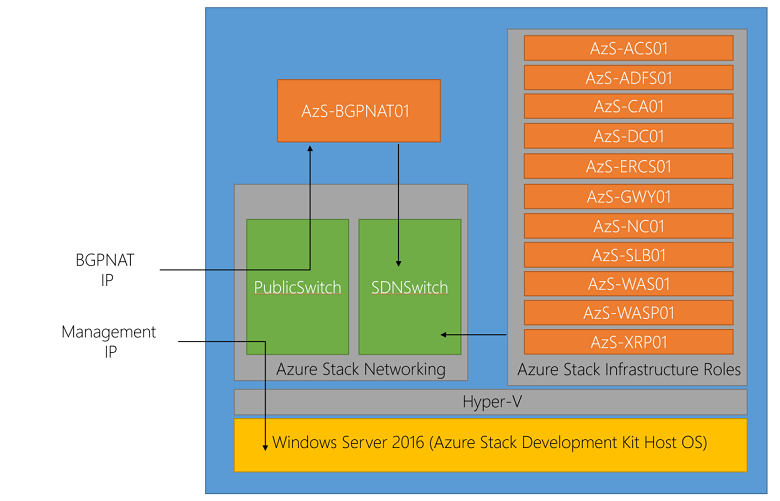 The Azure Stack Development Kit (previously named Proof-of-Concept (POC) mode) represents the single-node deployment model for this appliance. Intended only for non-production environments (it will not be supported by Microsoft) provides the alternative to deploy Azure Stack on existing hardware in a single-server mode. It is a great addition to any customer looking to explore into Azure Stack, as a much needed test environment for those organizations already owning Azure Stack that need to validate an application or deployment before moving into production. The best part of the story, as I reviewed a while back, the Azure Stack Development Kit is completely free and ready for download. The Azure Stack Development Kit in this release has also some updates and modifications. 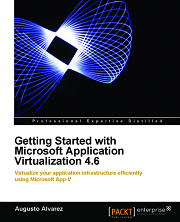 Some of the most important ones are the graphical interface for the installation process instead of a sometimes tedious PowerShell screen; and they also added the support of Microsoft Accounts for the deployment. You can now use CLI 2.0 to manage Azure Stack resources from a command line on popular operating systems. DSV2 virtual machine sizes enable template portability between Azure and Azure Stack. Cloud operators can preview the capacity management experience within the capacity management blade. You can now use the Azure Diagnostics extension to gather diagnostic data from your virtual machines. Capturing this data is useful when analyzing workload performance and for investigating issues. A new deployment experience replaces previous scripted steps for deployment. The new deployment experience provides a common graphical interface through the entire deployment lifecycle. Microsoft Accounts (MSA) are now supported during deployment. Multi-Factor Authentication (MFA) is now supported during deployment. Previously, MFA must be disabled during deployment. What else is New for Azure Stack? 1. Azure Stack documentation: Everything that is needed to start can be found here. Pre-requisites and installation process for Azure Stack Development Kit; how to enable features in Azure Stack; etc etc. No product is finalized until the vendor released the documentation to support it, right? 2. System Center Management Pack for Microsoft Azure Stack: Even though with the REST APIs provided by Azure Stack you can monitor the platform using tools like Nagios, System Center Operations Manager (SCOM) still represents one of the more robust and reliable ways to monitor Microsoft products. This MP will adapt easily to the Azure Stack environment you deploy. The System Center Management Pack for Microsoft Azure Stack enables you to monitor the availability of the Azure Stack Infrastructure. The management pack runs on a specified resource pool and then uses various Azure Stack APIs to remotely discover and collect instrumentation information, such as a Deployments, Regions and Alerts. The Management Pack for Microsoft Azure Stack provides no functionality on import. For each Microsoft Azure Stack deployment you want to monitor, you must configure discovery and monitoring by first using the Add Deployment wizard in the administration section of the OM Console. 3. 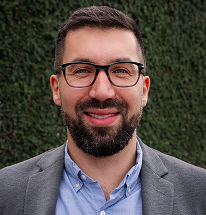 Azure Stack Tools on GitHub: This community repository is known for the contributions made for other Azure Stack users around the world with sample scripts and processes. Already has some contributions available after just a few hours from the Azure Stack release.